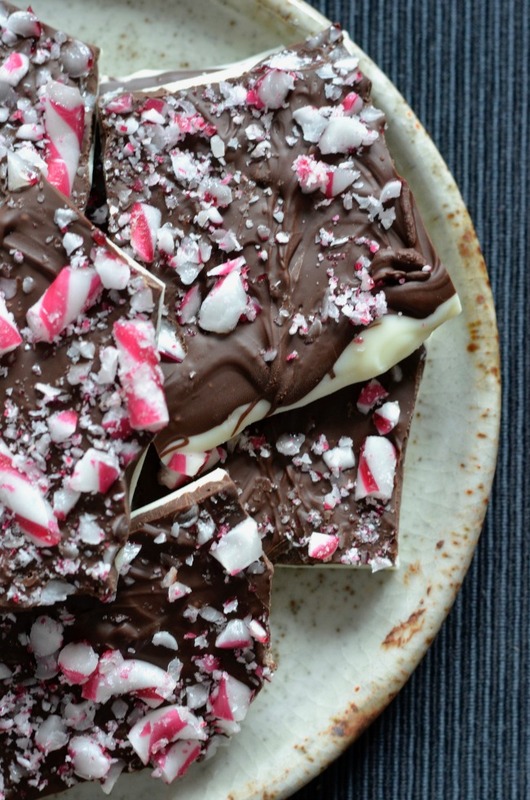 It’s hard to believe this candy cane bark only needs three ingredients! 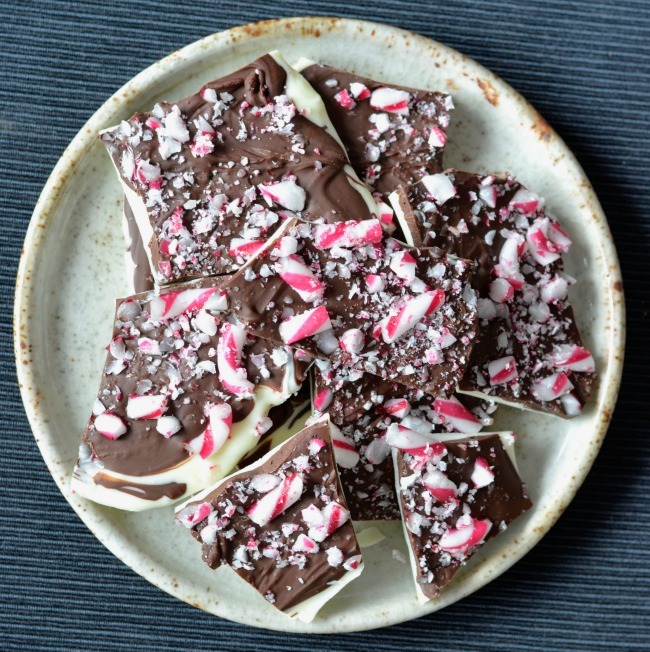 Try not to spread the melted chocolate too thin as you want it to have a bit of structure to it. 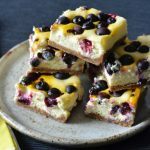 It’s also best to use good quality chocolate, so stay away from cooking chocolate where possible. 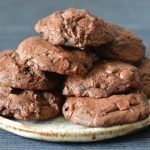 The higher quality the chocolate the better it will temper and taste! 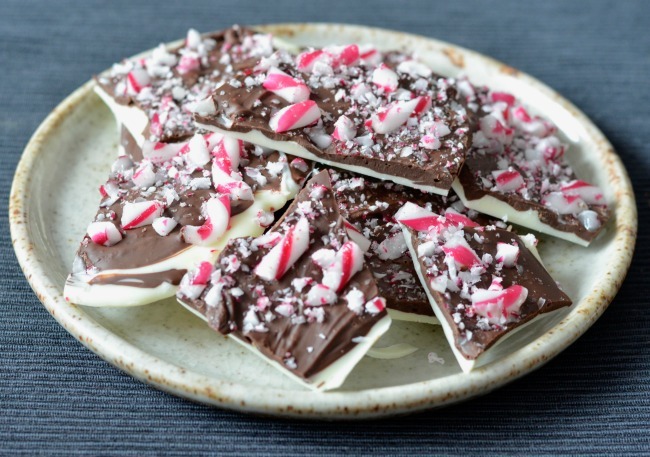 I also recommend peppermint candy canes as the combination of the minty flavour with the rich chocolate is delicious! 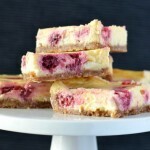 Sweet, but delicious! 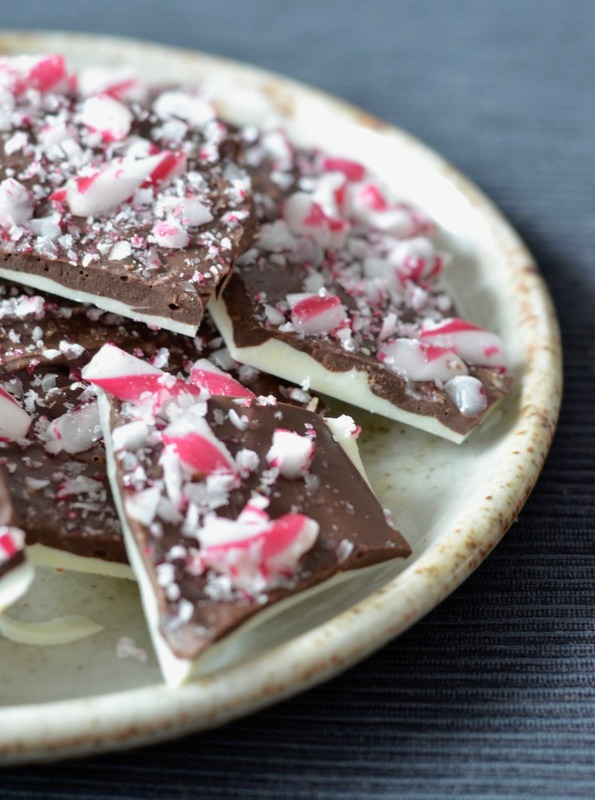 It would be a great way to use up any excess candy canes you might find yourself with after Christmas as well. As the daughter of a primary school teacher an excess of treats this time of year was a familiar sight in our house! This was my first time making bark of any description, but it definitely will not be the last! 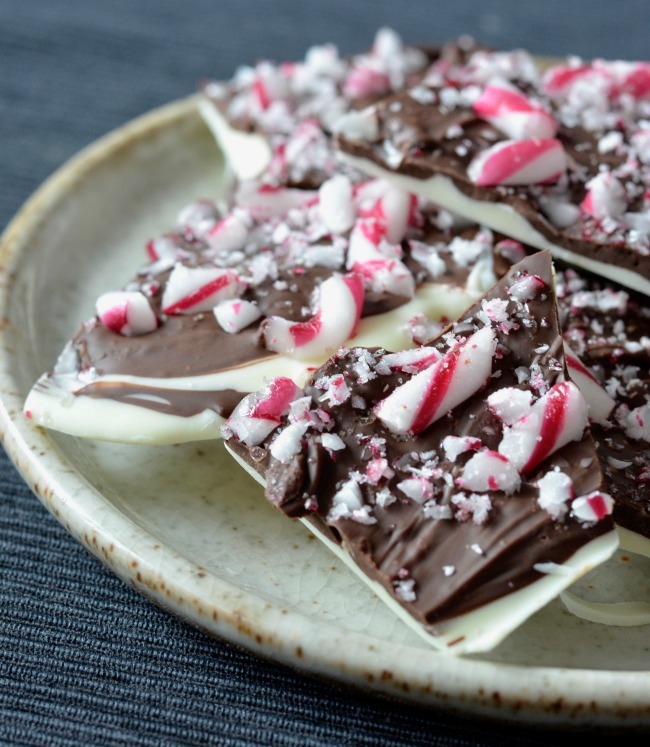 Who wants some candy cane bark?